Children's Farming & Homesteading Books Are Listed At The Bottom Of Page 5. A complete workbook for garden transformation with ways for readers to change their landscape from sterile and boring to lush and vividly alive. 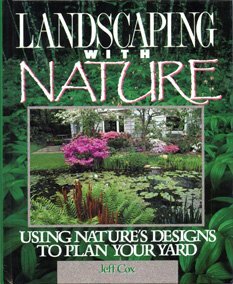 Includes detailed instructions on doing everything from making a natural path, garden pool or wildwood meadow to custom-coloring concrete and aging wood. 80 full-color photos; 75 illustrations. 344 pgs. A simple guide to living off the land and getting back to basics. Techniques on: survival, energy supplies, firearms, preserving food, tanning hides, gardening, beekeeping, and much more. B/W photos & drawings. 263 pgs. Living in the country, a new lifestyle, selecting a region or site, remodling a house, building a house, landscaping, land improvements, farmstead buildings, power sources, fruits, berries, vegetables, ornamental plants, herbs, gardeneing, beekeeping, dogs, christmas trees, pigs, nursery, poultry, nuts, rabbits, beef cattle, sheep production, dairying, birds & wildlife, fish, vacation farms, dude ranches, earthworms, selling property, providing for you heirs. Color & B/W photos. 432 pgs. A complete how-to book with illustrated plans, drawings & photographs so you can build it yourself. Contains plans for year round houses, vacation homes, garage & tool shed, woodshed, solar cottage, small pole barn, and a storage shed. 182 pgs. A single source for families to clean, organize, and manage their entire home. 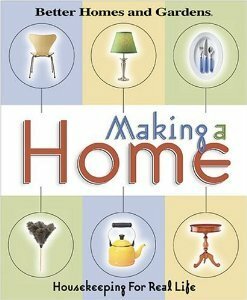 The first portion of the book teaches how to maintain a home and its contents, the second portion offers advice on improving home life through better organization, etiquette, and time management. Up-to-date, reliable information collected from universities, trade associations, federal agencies, and acknowledged experts on everything from pets, and home office equipment to home legal issues and environmental safety. With 1,000 indexed tips, 125 photos and 130 illustrations. 384 pgs. A techincal manual on wheel manufacture. Rim-bending machines, assembly jig, whell-axel assemblies, manufacture of whells to take bicycle & motorcycle tires, wheels for motor vehicle tires. B/W photos & illustrations. 153 pgs. Drawn from personal experience by the author, this book is a how-to reference manual. 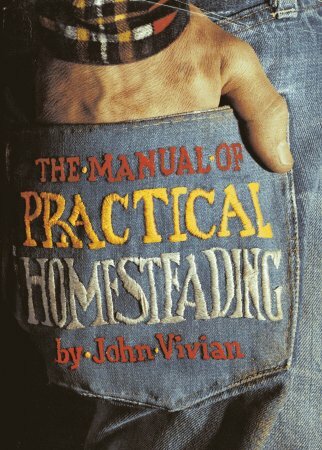 The manual follows a calendar year detailing when, why and how the suthor performs his homestead chores. Each chapter is packed with vital facts and sound advice on: how to handle chickens, goats & pigs; how and why he raises particluar vegetables and fruits; how to forage in the wild for his family's food - hunting and fishing; how and why he keeps records; and much more. B/W photos. 540 pgs. Explains the construction, use & changes in farm buildings in England. 32 pgs. Garden tools of the past, cultivation, cutting tools, lawn, garden sundries. B/W photos & drawings. 32 pgs. This collection of humourous essays and photos explores the never-ending process of turning old tractors into treasures. If you've ever found yourself amoung the ruins of rust; if you've ever neglected your family to spend time trying to reassemble a basket of worn out parts into a machine that can actually leave the garage under its own power, then you can learn a thing or two from this old tractor nut. 224 pgs. The purpose of this book is to assist instructors in farm mechanics in giving a thorough and practical course in the operation, care, and repair of the more important farm machines such as: plows, implements, disk harrows, planters, rotary hoes, cultivators, binders, harvesters, pickers, mowers rakes, diggers, loaders and presses. Lots of illustrations & B/W photos. 239 pgs. 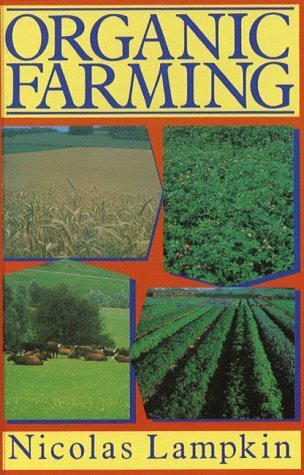 The Popular Farming® Series is a collection of magabooks that provides valuable information to those who already have a small farm as well as those who are pondering the big move to the country. 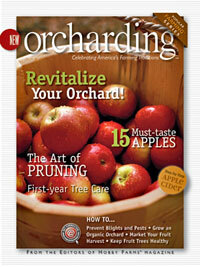 Orcharding has everything you need to know about starting a new orchard or restoring an old one. With beautiful photos and in-depth articles, Orcharding is a must-have for every gardener and farmer. Contents: Origins of the Orchard; Orchard Planning 101; Bringing Up Baby: First-year Fruit Tree Care; The Organic Orchard; The Art of Trees; Keeping Orchard Pests at Bay; Mastering the Orchard; Orchard Harvest A to Z; An Apple a Day; Go Nuts! ; Twisting Tradition in the Orchard; Going Beyond Growing; Cooking Up Apples; Why We Love It; Includes a Glossary & list of Resources. 128 pgs. This book concentrates on the scientific principles and practices of organic farming & organic livestock husbandry, in Britain in the early 1990's. It explains arable and livestock production techniques and draws on mainly European examples. It should be of interest to farmers, advisers, researchers and students and contains an extensive bibliography. 720 pgs. The Popular Farming® Series is a collection of magabooks that provides valuable information to those who already have a small farm as well as those who are pondering the big move to the country. Organic Farm has everything you need to know about returning your farm to its organic roots. 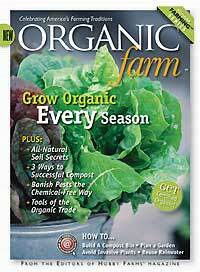 With beautiful photos and in-depth articles, Organic Farm is a must-have for every gardener and farmer. Contents: The Farms Foundation; How Green Does Your Garden Grow? ; Classic Crops; Organic Certification Survival Guide; The Market Garden; Organic Herbs 101; Got Compost? ; Build It and Compost Will Happen; All-Season Gardening; Weeding the Organic Way; Pest Patrol; Tools of the (Organic) Trade; Why We Love It; Includes a Glossary & list of Resources. 128 pgs. 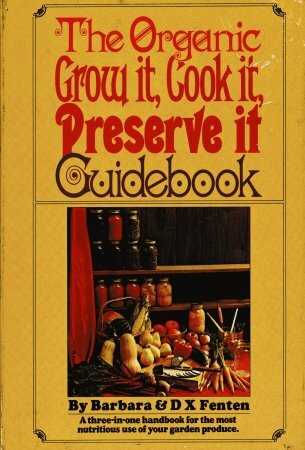 A three-in-one (growing, cooking, preserving) handbook for the most nutritious use of your garden produce. Growing: you will learn, in an easy-to-follow manner, how, when & where to plant fruits & vegetables. All gardening projects are ecologically sound - no dangerous chemical sprays. Cooking: Simply, you will find the best way to cook the foods from your garden so that taste & nourishment are retained. Tried & true recipies. Prserving: In this step-by-step section, you will learn the facts & fallacies of food preservation as well as finding complete & simple instructions & methods for preserving (hot & cold pack) & freezing. All is done without harmful additives. B/W photos. 164 pgs. 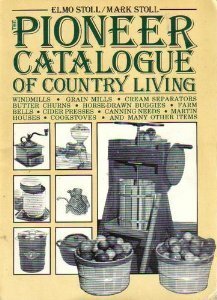 A wonderful & heartwarming photo album-like look at farm and rural living from the early 1900's to the 1960's. Organized by theme, it shows the breadth & variety of farm living, from farm animals & equipment to buildings; from working the land to domestic living & farm folk. B/W & color photos through-out. 144 pgs. Lists, describes, and illustrates items which are handcrafted and produced through cottage industry - objects that our grandparents and great-grandparents used before the advent of electricity. Such as wood-burning stoves, horse drawn buggies, windmills, pressure cookers, coffee mills, cider presses, ice cream freezers, handmade hickory rockers, cedar chests, and Amiah quilts. Illustrated 111 pgs. The early plough, ploughs of the 18th and 19th centuries, plough operation, mechanical ploughing. B/W photos & illustrations. 32 pgs. Seddon has given his book the extra dimension of original plans for a lean-to barn, horse barn, hillside house, garage/wood shed, mountain pole cabin, and a coastal house. The ease and economies of pole buildings have long been appreciated, and here is the book to tell you how to build a pole structure successfully. Pole building construction saves money, time, labour, and materials because it involves limited grading, no excavation, flexibility on site, and few materials. It discusses sources for kilndried versus green poles, structural and aesthetic considerations, and insulation and ventilation approaches. All with over 100 architectural drawings and photographs. 183 ps. No experience in farming? No problem! "The Profitable Hobby Farm" gives you all the tools you need to launch a thriving hobby farm business. Based on the author's expert guidance and the motivating experiences of other small farmers, it shows you how to blend strategy, marketing, and money management in order to prosper. 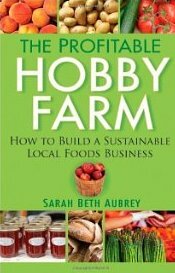 It provides sound, friendly start-up advice on a variety of topics essential to making an initial foray into a local foods venture.A must-read book for raising and selling local, sustainable foodsIncludes sample business plan, grant application, marketing and advertising plan, and other forms. Lengthy resources section directs you to additional reading. 276 pgs. 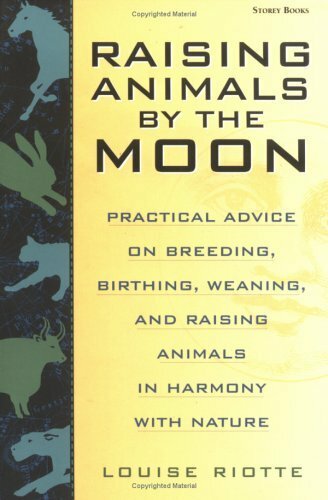 Practical advice on breeding, birthing, weaning, and raising animals in harmony with nature. Learn how to use seasonal changes to increase milk production of your goats or cows, improve your hens' laying, judge when to shear sheep, and properly time your animals' breeding. A guide to the therapeutic properties of herbs will help you keep your animals healthy throughout their lives. 187 pgs. Belanger explains how hogs can be used to make good advantage of homestaed watse, producing both meat (better than any you can buy) & rich fertiziler (better than the bagged variety). The mechanics of a hog operation are simple & flexible; you can raise a few or many; you can raise pigs or simply buy them & fatten them up. 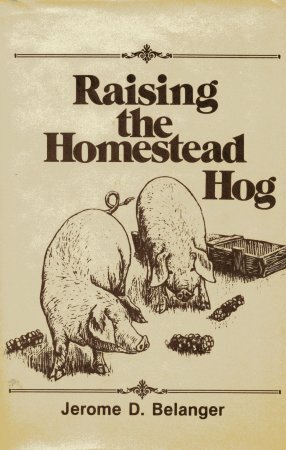 This book shows just how feasible hog raising can be for the family with limited acreage and less than full time to devote to raising their own food. B/W photos & illustrations. 236 pgs. 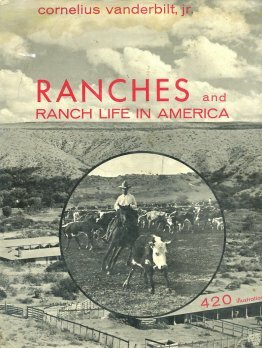 Here is a magnificent book covering in pictures and text, the vastly exciting story of ranching in America. It encompasses the whole panorama of ranch history, from Cortes and his Conquistadores in New Spain, the first wild Texas longhorn ranches, and the hugh Spanish land grants of the 18th century, to the modern, scientifically run, mechanized ranches of today. 420 B/W photos. 280 pgs. Learn how to square and strengthen the structure, repair or replace the roof and siding, enlarge and modify the building, install new windows and doors, and add electricity and plumbing. Filled with illustrations. 257 pgs.